Designed by famous Italian designers Ludovica and Roberto Palomba, the Palomba collection features minimilist designs that combine geometrical and organic shapes. 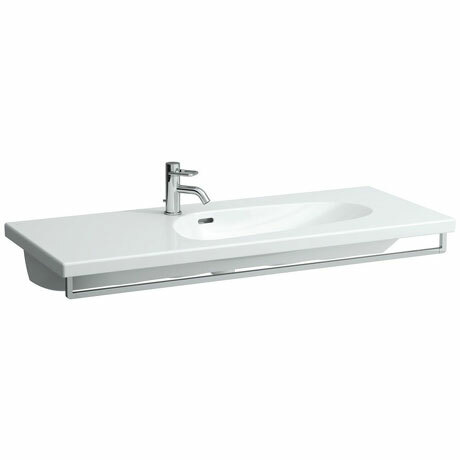 This basin style can be simply placed onto a furniture carcass or by cutting out the area of your worktop. It also boasts an integrated stylish chrome towel rail. All Laufen sanitaryware is guaranteed for 5 years.